In an Ethiopian context, women have been gaining voices and leadership position through time. This has resulted in the creation of more opportunities for women. Although the numbers cannot be matched with men, there are prominent women in Ethiopia who successfully lead business organization and other sectors. This, however has been achieved after tremendous battles against cultural practices that confine women’s economic activities to doing household chores and community activities such as idir, lekso and other social affairs. In addition to, a culture that stresses on the importance of modesty in women, these gender stereotypes and cultural obligations further play into overbearing women with responsibilities both at home and at the workplace. A typical Ethiopian married woman with a job is an employee and a mother at the same time. This means that, in addition to her responsibilities in her job, she is also tasked with taking care of the children, do house chores and prepare for the next day of work. Even upon attaining leadership positions women, their capabilities as leaders are questioned because of the above-mentioned conditions. 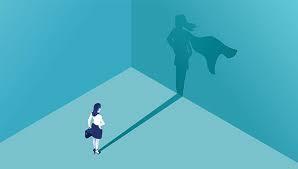 In a research done by the journal of international women’s studies, women in leadership positions were asked what the obstacle was for women in leadership positions, a few answered, women with ideas are less heard than their men co-workers. Another further added that when the same ideas are suggested by male co-workers, it is heard, and they are championed for it. Hence, to combat this stereotype of viewing women’s idea as less important, women have had to work twice as hard to influence the behavior of their subordinates and co-workers. Gender stereotypes in the workplace further play in to viewing women as mothers and wives and just that. Furthermore, this creates psychological barriers that limit the number of female leaders and affects their performance. Women’s leadership significantly contributes to building high-performing organizations, this is mainly because intrinsically women think in “we” rather than “me”. Yes, women are mothers and think like mothers as well and that is an asset to any organization.